Plot At the request of his old war time colleague Ailsa Brimley, George Smiley agrees to look into the murder of Stella Rode. Brimley had only just received a letter from her saying she feared for her life at her husband's hand. The husband, Stanley Rode teaches at Carne School, but Smiley is doubtful that he had anything to do with his wife's death. As Smiley investigates, he learns that Stella was a nosy busybody who loved to learn other's little secrets and then gossip about them - or possibly blackmail them. 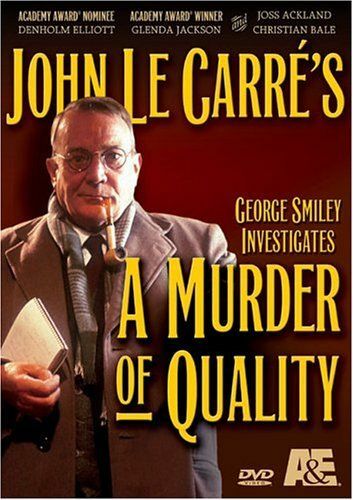 When a student is killed and Smiley unearths a secret, he has the evidence to name the killer.Based on John Le Carrï¿½'s 1962 thriller (his first) in which George Smiley is brought out of spy retirement to solve a murder in a British public school. The setting is based on Le Carre's own schooldays in Sherborne and his brief experience teaching at Eton.